SK hynix, the world‘s second-biggest memory provider, announced Monday it has successfully demonstrated its proprietary solution with next-generation standards for enterprise solid state drive (SSD), a device that stores data in semiconductor memory. In a presentation at a summit in San Jose, California, the firm said the solution would speed up data processing by 30 percent for massive data centers that support artificial intelligence programs. The Korean chipmaker successfully showcased its own software designed for the upcoming international standard known as “Zoned Namespaces SSD” at the Open Compute Project Summit in Silicon Valley. The summit was attended by around 3,600 industry officials and academic experts on hardware and software technologies for data centers. The ZNS SSD is a new solution for data center servers that is 30 percent faster in data processing and lasts four times as long. It is considered crucial for preparing for explosive growth in data in the era of artificial intelligence and big data. Compared to existing SSD solutions that store different types of data, such as image, video and sound, in a single space without separation, the ZNS SSD stores each type of data in separated zones that raise efficiency in data management. SK hynix plans to complete the ZNS SSD development by the end of the year with an aim to launch the solution in the first half of next year. 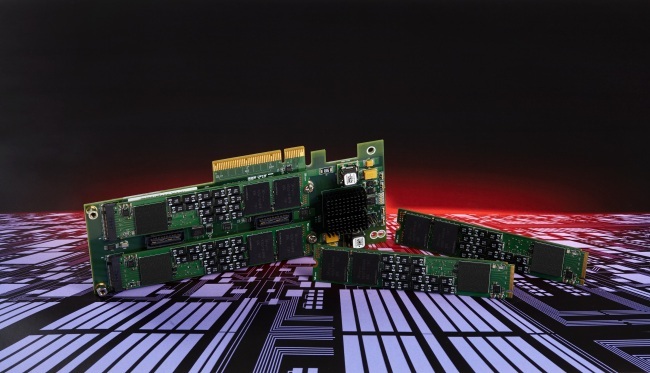 According to IHS Markit, the SSD market is forecast to grow from $32.4 billion in 2018 to $51.8 billion in 2022, with an annual average growth rate of 12.5 percent. The enterprise SSD market is projected to grow at an even faster pace of 15.7 percent annually from $18.9 billion to $33.9 billion during the same period.